The Solomon 2 Tank from KAEES is a 5ml RTA atomizer. This Solomon 2 RTA is also a top filling tank which is made of high quality 304 stainless steel. 3.5ml/5ml capacity to suit different needs. The Solomon 2 Tank from KAEES is a 5ml RTA atomizer. This innovative single coil RTA comes with this leakproof and top adjustable airflow control which ensures no-leaking issues. 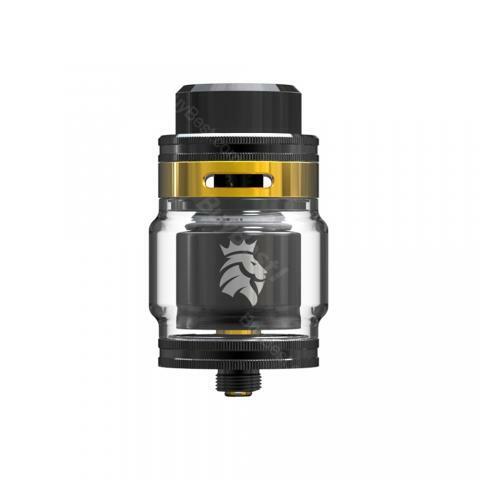 This Solomon 2 RTA is also a top filling tank which is made of high quality 304 stainless steel. 3.5ml/5ml capacity to suit different needs. Original, una mecanizacion pefecta, muy buen ato.